LeaveAdvisor® will help reduce the cost, compliance risk, and complexity of managing job-protected absences throughout the country. Human resource representatives, attorneys, supervisors, and employees can all benefit from the information provided in Reed Group LeaveAdvisor®. 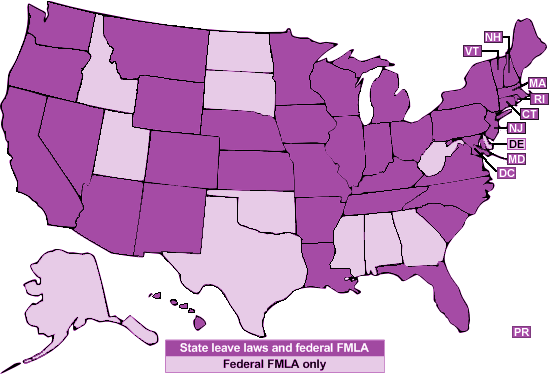 To Get Started: Click on the Federal & State tab and select a federal or state leave law analysis you need. Once in an analysis, you can click on the table of contents button (left side of screen) to see the chapter's contents. This navigation panel can be pinned to the open position for convenience and easy browsing. © 2012–2019 Reed Group, Ltd., a wholly-owned subsidiary of the Guardian Life Insurance Company of America. All Rights Reserved. Product availability, provisions and features may vary from state to state. NOTICE: This publication is for general information and reference. It is not intended, nor should it be used, as legal advice. Due to the numerous factual issues which arise in any human resource or employment question, each specific matter should be discussed with your attorney.